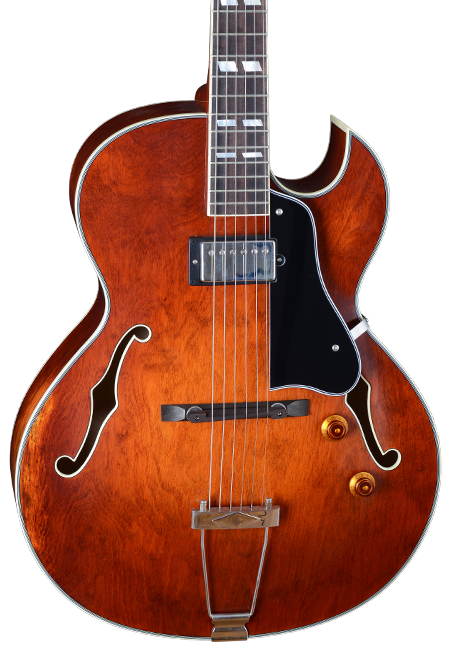 As early as 1949, this single cut Hollowbody Arch top was introduced to the public and enthusiastically received by the “Jazz camp”. 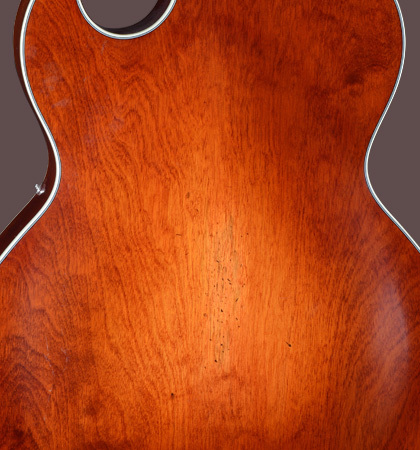 Joe Pass, Pat Metheney or Steve Howe made this instrument world famous. 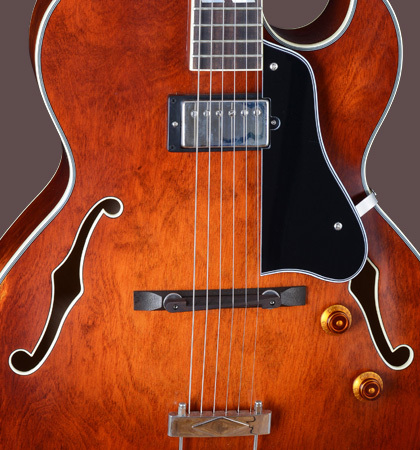 The Stanford Fatboy 75 has a sharp, so-called Florentine cutaway, a humbucker in neck position, as well as a volume and tone control. The top and bottom are made of molded multi-layered maple. 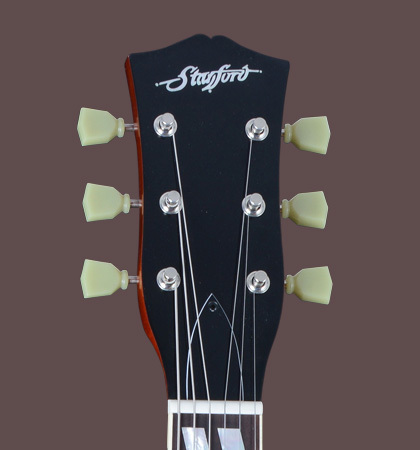 Like all instruments in the Stanford Crossroad series, the Fatboy 75 is also painted with a nitrocellulose lacquer. The Stanford Crossroad Fatboy 75 is delivered with a case.